In 2008, Speaking of Research was set up to urge more scientists, particularly in the US, to talk about the research they conducted. While advocacy groups have an important role in helping to educate the media, policy makers and general public on the role of animals in research, the most powerful voice on this issue continues to be that of the scientist. While advocacy groups can talk about the general benefits of animal research, scientists are able to point to specific areas of their own research which have relied on animal research. While advocacy groups can talk generally about why animal use continues to be needed, researchers are able to talk specifically about why their research could be not done without the careful and humane use of animal models. While advocacy groups can talk about this contentious issue, researchers are able to normalize it. Normalizing this issue is no mean feat. It requires scientists to be prepared to talk about the role of animals in their research, and in the research that precedes their own (for those involved in the more publicised clinical research). It requires the university and industry press offices to be prepared to include mention of the animals in their press releases. It will then only be a matter of time before journalists, in turn, include these mentions of animals in their own articles. There are around 5.9 million scientists (and engineers) in the US alone, of which around 250,000 are involved in Life Sciences. A large number of these use animals in research. Speaking of Research challenges 52 scientists, a minute fraction of the total, to spend 2 hours this year writing a short article about their own research and why it requires animals. If this challenge is met we could publish one article every week for a year! There has never been a better time to get involved in Science Communication. More scientists than ever before are talking about the research they do across the internet, and it’s time that those involved in animal research join the trend. 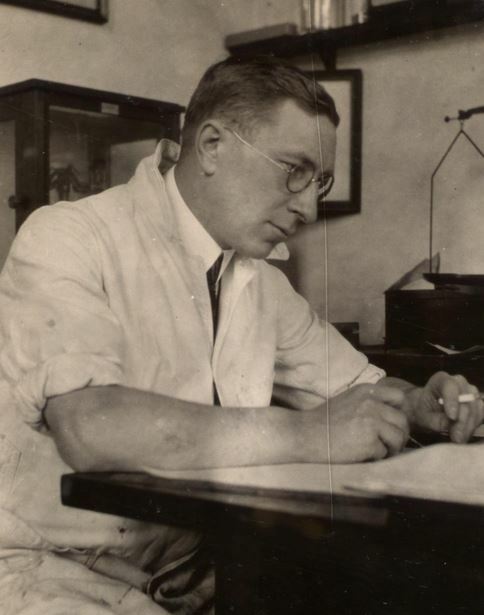 If Frederick Banting were alive, I’m sure he’d be writing about his research for us. Welcome to the Speaking of My Research series of posts. What are you researching? What applications might your research have in the future? Why do you need to use animal models, why not alternatives? How do you specifically consider the welfare needs of the animals? * There is no evidence that animal rights groups have targeted scientists because they spoke out in favour of research. Indeed, extremists prefer to target those who would quietly fold rather than those who would condemn their would-be targeters. Posted on September 2, 2013 September 22, 2014 by EditorPosted in News, Outreach NewsTagged animal researchers, outreach, science communication, Speaking of My Research, why i use animals. Next Next post: Trial of gene therapy in heart failure launches following success in rats and pigs. Not all research – animal and clinical – leads directly to new treatments and cures for everyone. Some things work well for some animals and people, but not for others. I’m glad that scientists and doctors publish their negative results as well as their positive ones, so that everyone can learn and move forward. I would like to see more scientists and doctors, lab animal veterinarians and caretakers write about why they do what they do. You are the reason I am here writing this and I am extremely grateful for what you do every day. I would like to see more patients share their stories as well. Read, learn, explore, find the truth, and be thankful. Thanks for contributing Joanna, people like you are the reason why Speaking of research was founded. I agree wholeheartedly. Not only is it important that researchers speak out about what it is they do and why, but also the general public needs to understand how treatments, surgical procedures, vaccines and drugs come to exist from lab to bedside. Millions have been saved and so will many more generations.